Comair Rotron would now like to introduce another member in the Mixtus family, the Mixtus 6.8 mixed flow fan. Utilizing the same design characteristics as the 7.9 this mixed flow fan is able to create both high pressure and high axial airflow, but now in a smaller 172 mm footprint. 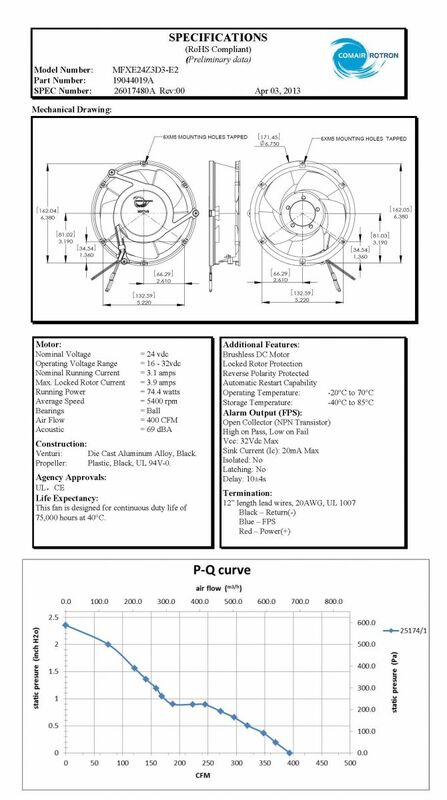 The new 3 phase technology provides less running current and a cooler running fan . The Mixtus 6.8 (model prefix MFX) takes advantage of leading mixed flow technology to deliver the highest performance available from an axial fan of this size to date. 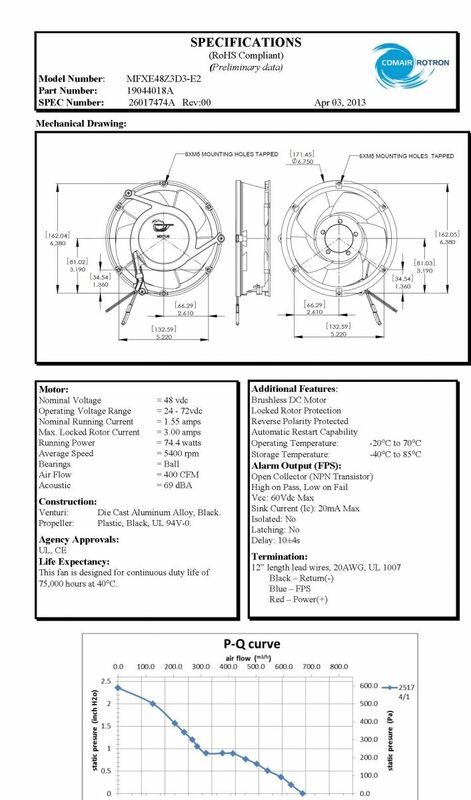 Traditional tube axial fans are designed for high airflow / low pressure applications. The conical shaped blade and housing of the Mixtus pressurizes airflow to allow increased shut off pressures than found in traditional tube axial products. This provides a tremendous advantage for many applications as more and more technology is being packed into smaller spaces. The Mixtus 6.8 is able to deliver air at a rate of up to 400 CFM with a shutoff pressure of 2.23 in/H2O. 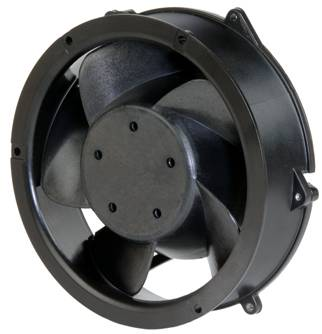 These fans are available in two speeds, both 24 and 48 Volts, and also come with either tachometer or pulse width modulation (PWM) standard. With performance and features this is impressive in a 172 x 51 mm package, the Mixtus 6.8 is an air mover that cannot be overlooked. For more information about these exciting new products please contact Comair Rotron. You can also visit us online at www.comairrotron.com and type the model prefix into the search field on the left to learn more about everything these products and Comair Rotron have to offer your application.